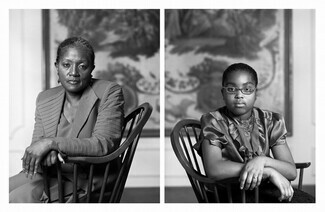 For more than 40 years photographer Dawoud Bey (b. 1953) has portrayed American youth and those from marginalized communities with sensitivity and complexity. 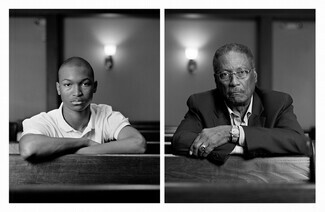 Dawoud Bey: The Birmingham Project marks the National Gallery of Art's recent acquisition of four large-scale photographs and one video from Bey's series, The Birmingham Project, a tribute to the victims of the 16th Street Baptist Church bombing in Birmingham, Alabama. Coinciding with the 55th anniversary of this tragedy, the exhibition focuses on how Bey visualizes the past through the lens of the present, pushing the boundaries of portraiture and engaging ongoing national issues of racism, violence against African Americans, and terrorism in churches. On September 15, 1963, four girls were killed in the dynamiting of the church, and two teenaged boys were murdered in racially motivated violence. 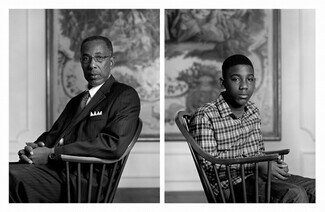 Each of Bey’s diptychs combines one portrait of a young person the same age as one of the victims, and another of an adult 50 years older—the child's age had she or he survived. Alongside these photographs, the exhibition features Bey's video 9.15.63. 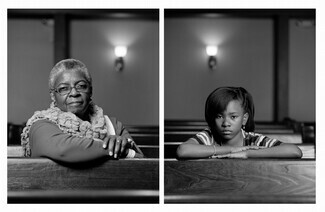 This split-screen projection juxtaposes a re-creation of the drive to the 16th Street Baptist Church, taken from the vantage point of a young child in the backseat, with slow pans that move through everyday spaces (beauty parlor, barbershop, lunch counter, and schoolroom) as they might have appeared that Sunday morning. Devoid of people, these views poeticize the innocent lives ripped apart by violence. This exhibition is curated by Kara Fiedorek, Andrew W. Mellon Postdoctoral Curatorial Fellow in the department of photographs, National Gallery of Art, Washington.